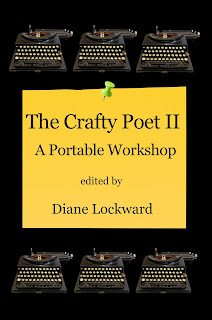 I'm posting here the Craft Tip I contributed to my craft book, The Crafty Poet II: A Portable Workshop. You might find it helpful as you work on new poems this month. You might also find it useful for working on poems you wrote months, or even years, ago. Enjoy! And prosper! During revision discussions, we poets hear a lot about compression, reducing clutter, and cutting out the non-essential. Who hasn’t sat in a poetry class or workshop and been told that less is more? So when someone tells us to add more, to expand, to keep going, we might be hesitant to pay attention. But we should pay attention. The less-is-more principle is often good advice, but it’s not always good advice. As I once heard Mark Doty say, Sometimes more is more. Too often we start revising and hacking away at the poem before it’s even fully written. We quit before we’ve given the poem life, before we’ve discovered its full potential, before we’ve found its real material. 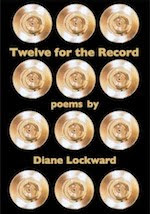 Before you begin to strip down your poem or abandon it as no good or decide it’s good enough as it is, first consider how you might expand your poem. The following expansion strategies just might help you to discover your poem’s true potential and arrive at the genuine. 1. Choose a single poem by someone else, one that has strong diction. Take ten words from that poem and, in no particular order, plug them into your own draft. Make them make sense within the context of your poem, adjusting your context as needed. Or let the words introduce an element of the strange, a touch of the surreal. 2. Find the lifeless part of your poem. This is often the part where your mind begins to wander when you read the poem aloud. Open up space there and keep on writing in that space. Repeat elsewhere if needed. Remember that freewriting can occur not only while drafting but also while revising. 3. Find three places in the poem where you could insert a negative statement. Then go into the right margin of your draft and write those statements. Add them to the poem. By being contrary, you might add depth and richness to the poem. 4. Go into the right margin and write some kind of response to each line, perhaps its opposite, perhaps a question. The material that you add to the right margin just might be your best material, the real material. Bring what works into the poem. Make friends with the right margin; good things happen out there. 5. Put something into your poem that seemingly doesn’t belong, perhaps some kind of food, a tree, a piece of furniture, a policeman, or a dog. Elaborate. 6. Add a color and exploit it throughout the poem. This is often a surprisingly effective enlivening strategy, one that can alter the tone of the poem. 7. Go metaphor crazy. Add ten metaphors or similes to the poem. Keep the keepers. 8. Look up the vocabulary of an esoteric subject that has nothing to do with your poem. The subject might be mushroom foraging, astronomy, cryogenics, perfume-making, bee keeping, the Argentinian tango, or zombies. Make a list of at least ten words. Include a variety of parts of speech. Import the words into your poem. Develop as needed. 9. Pick any one concrete object in your poem and personify it throughout the poem. For example, if there’s a rock, give it feelings, let it observe and think, give it a voice. As the object comes alive, so may the poem. 10. Midway or two-thirds into your poem, insert a story, perhaps something from the newspaper, a book you’ve read, a fable, or a fairy tale. Don’t use the entire story, just enough of it to add some texture and weight to your poem. Your challenge is to find the connection between this new material and what was already in the poem. Now go into your folder of old, abandoned poems, the ones you gave up on when you decided they just weren’t going anywhere. Then get out some of your recent poems that feel merely good enough, the ones that never gave you that jolt of excitement we get when a poem is percolating. Finally, return to some of the poems that you’ve submitted and submitted with no success, those poor rejects. Mark all of these poems as once again in progress. 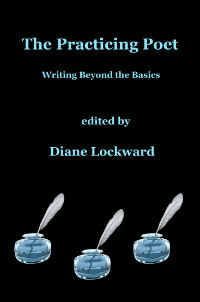 Now apply some of the expansion strategies and see if you can breathe new life into the poems. Remember that this kind of revision is not a matter of merely making the poem longer; it’s a matter of making the poem better. Wonderful advice! I had most often reduced poems in revision, but recently an editor suggested expanding a poem, and I tried it! It worked!! Exactly. We're schooled to cut, cut, cut in poetry, but sometimes the opposite direction is the right way to go. Wow! I do certainly often cut, cut, cut as revision...I shall definitely incorporate your 'new' revision nuggets as refinement my in my lifeless poems. Thanks for great advice! Great. I think you'll find the suggestions helpful in bringing new life to your poems.